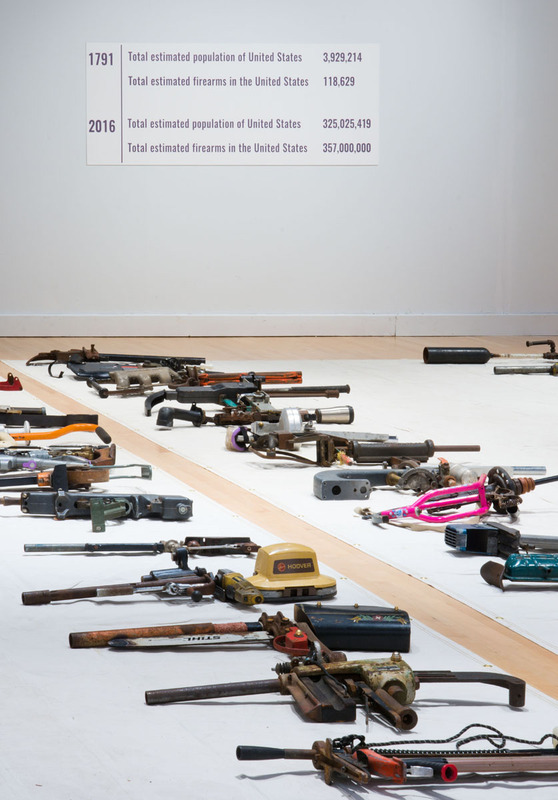 All 112 of the guns converged at UMBC alongside Richard Chisholm's film about the Gun Show in a exhibition about the project as a whole. Below is the head curator's, Kathy O'Dell, curatorial statement located in the gallery. research universities – and their art galleries – allow and encourage. the books in the study area, and write your reactions to the show on the share-your- thoughts wall.